Such activities have become possible as President Moon Jae-in's administration relaxes enforcement of South Korea's National Security Act amid efforts to improve relations with North Korea and halt its nuclear weapon and missile programmes. Thousands of students, citizens and defectors were prosecuted, jailed and even executed under the 1948 law, which bars "praising, inciting or propagating the activities of an anti-government organisation". Most were accused of spying for Pyongyang or undertaking other pro-North activities. 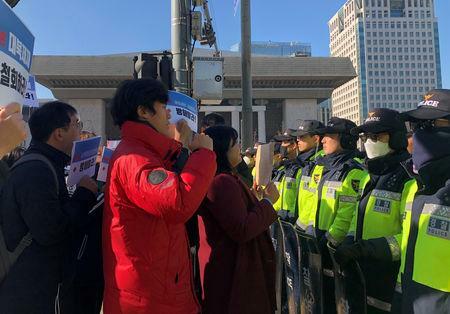 Amid decades of sometimes violent confrontations with the North, the law became primarily aimed at suspected North Korean spies and sympathisers. 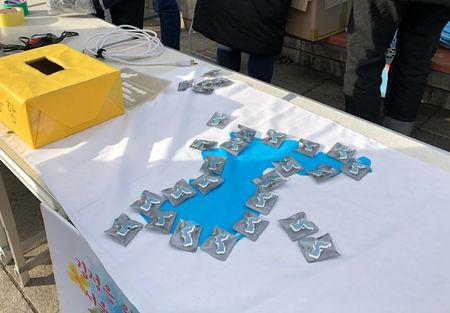 On Monday, a coalition of eight defector, human rights and lawyers' organisations said they were opposed to any more inter-Korean summits that fail to address human rights in the North. "Peace is all well and good but those organisations extolling Kim Jong Un are going way too far," said Kim Jong-hoon, a 27-year-old IT worker. "I don't think that's the way to lasting peace." "Isn't it every citizen's wish if it helps realise denuclearisation of the Korean peninsula, and achieve peace between the South and the North?" Moon said.